Your website can and should be the virtual showroom for your inventory of motorcycles. Let us help you create and manage a totally customized website solution to handle your inventory, attract more leads, and increase the return on investment (ROI) of your dealership. Included with all of our websites is a simple but powerful inventory management system to control which motorcycles appear on your website. You can add, edit, and remove motorcycles at any time from the secure backend of your website. We do all the technical work for you. You just need the sales team to respond to telephone and email leads. Have another inventory provider you already enjoy using? Or maybe you have multiple providers and aren’t sure how to connect them all? We can integrate with almost any service out there and connect them all through your custom website designed by us. We’ve integrated with inventory feeds using XML, CSV and JSON data. We can push or pull data using FTP, HTTP, or any other protocol that you can provide documentation for. And don’t worry if you don’t know what any of these acronyms and terms mean. That’s why we’re here. Give us the technical contacts at the other vendors you use, and we’ll figure it all out for you. People are shopping on all sorts of devices, and your website needs to be designed to work on any of them at anytime. There is more mobile traffic, searches, and visitors than ever before. Mobile even exceeds desktop traffic now. Make your website work for all visitors and you won’t miss out on online leads. We make this happen by using a responsive web design strategy with a mobile-first mindset. This means that your website is designed from the ground up to be responsive on any device size or aspect ratio. Whatever device your potential customer is using, large or small, your website will look great. It’s not just responsive either. Our designers are always thinking mobile-first, because that is the majority of users now and it will only continue to grow. Each and every decision we make, we first decide how it will work on mobile. Only then, do we make it look just as great on large devices which are becoming less prevalent, but still important, to capture every lead. 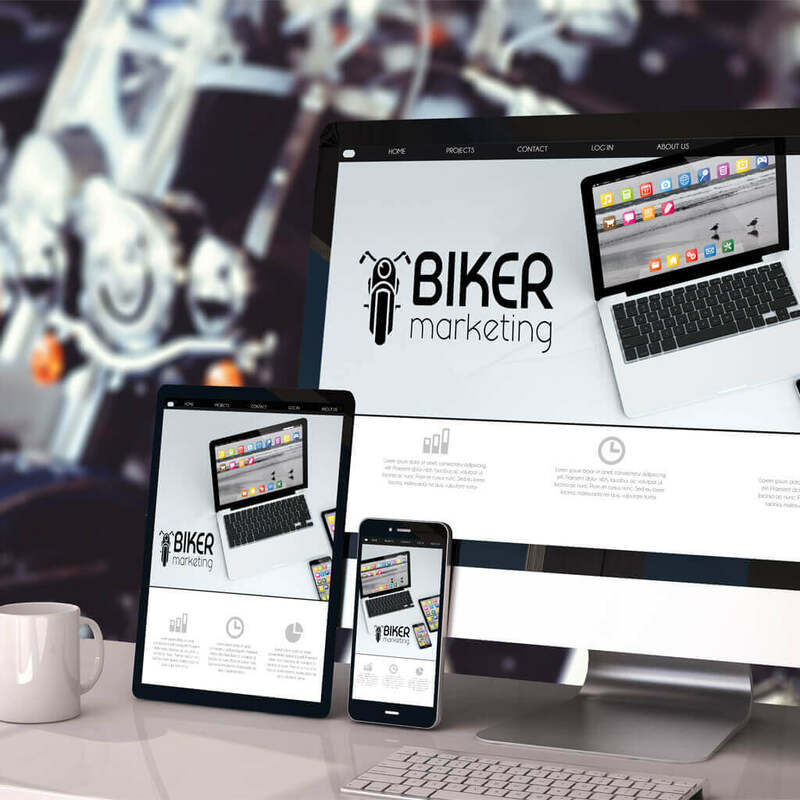 Your website should stand out from the crowd of other motorcycle industry websites. Don’t settle for a theme or template that your customers will see on your competition’s website. You want to differentiate yourself with a custom design that fits your dealership. We offer both totally customized and template-based design options. Totally customized designs will allow you to stand out the most. We start from nothing and build a 100% customized design for the frontend of your website. 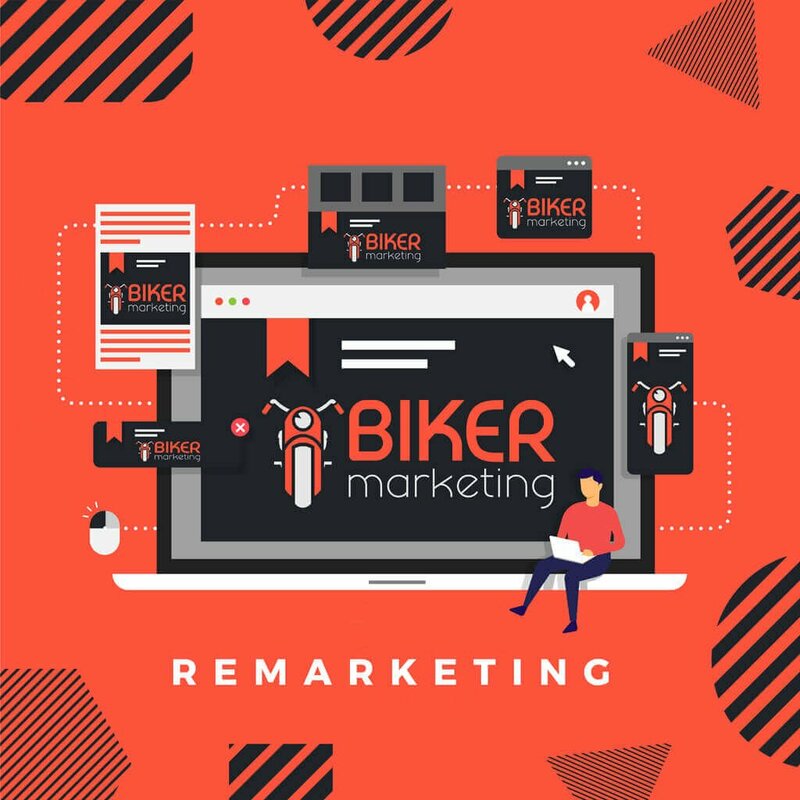 You’ll have input, but our team of experts will also offer our suggestions and advice based on our digital marketing experience in the motorcycle industry. If you’re on a tighter budget, want your website done faster, or just don’t mind fewer customization options, we offer template-based designs. Template-based designs offer a quicker turnaround, but can quickly become just as expensive as a totally customized website if you have a lot of changes. 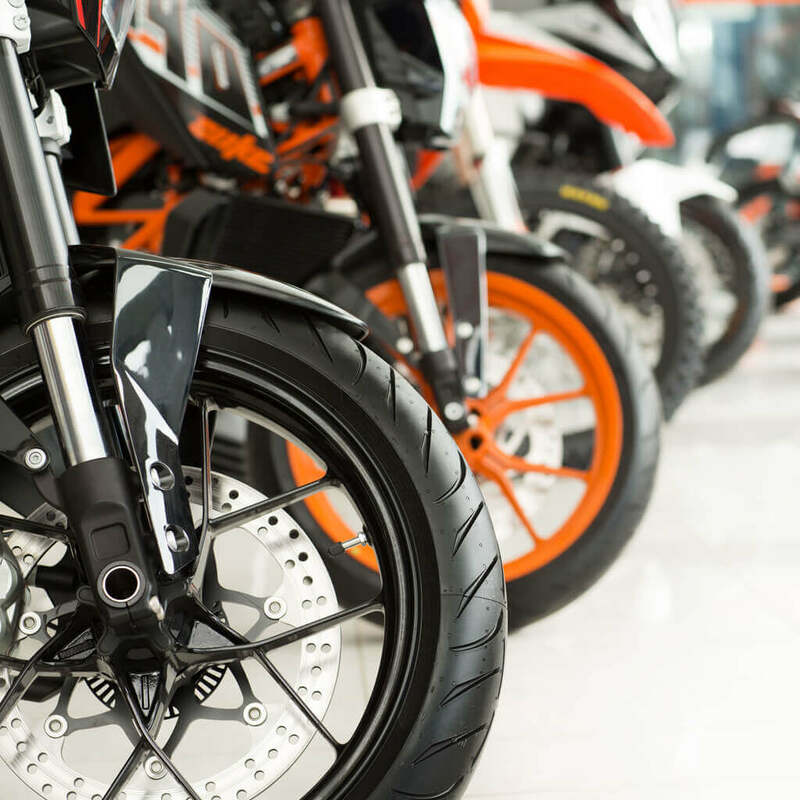 If you’re going to run online ads for your motorcycle inventory, your website will be ready to help. Your inventory can be synced to any advertising platform that supports dynamic ads like Facebook. This means your ads on Facebook or elsewhere can show your actual inventory as it appears in your website backend. We embed all needed tracking pixels onto your website. This means your website is ready to do powerful remarketing (or retargeting) ads. You can show ads for your dealership to people who already visited your website as they browse other sites on the Internet. You can also limit this to certain pages on your website, so only the hottest leads are targeting. You can combine the two and run dynamic retargeting ads. These are some of the most powerful ads to run. 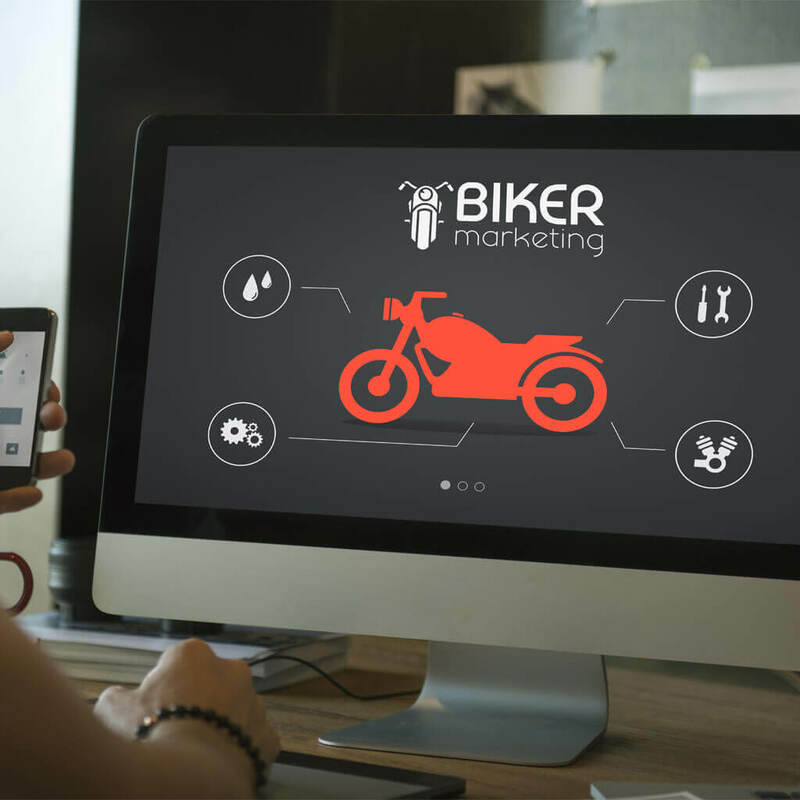 You show potential customers the exact motorcycle they saw on your website or submitted a question about! It’s like the motorcycle follows them around the Internet, and and this keeps the idea of buying at the front of their mind all the time.. 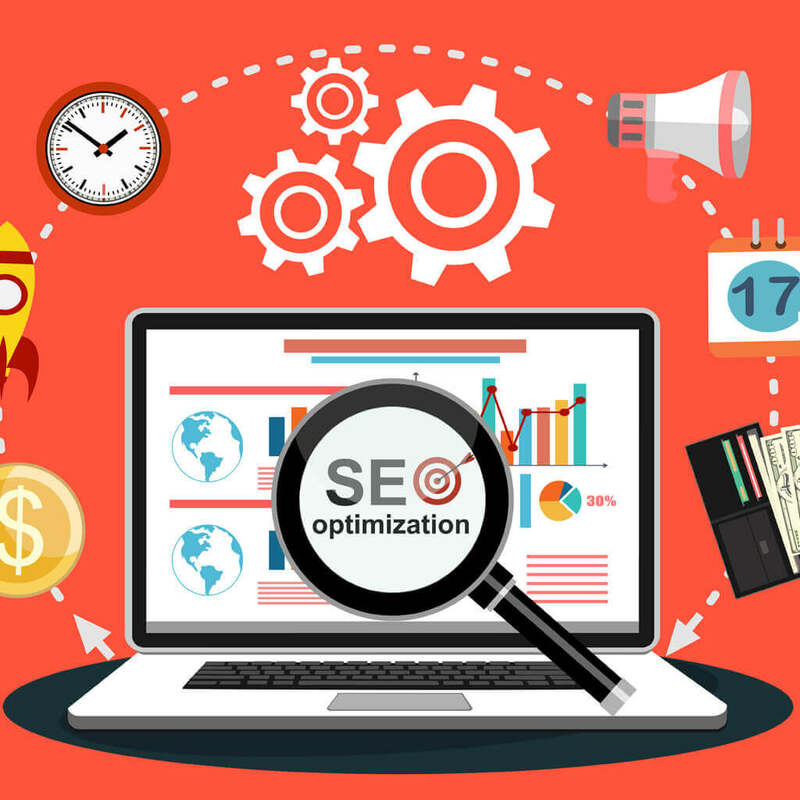 Your website is equipped to take advantage of many search engine optimization (SEO) techniques. There are many SEO tactics and strategies, but whichever if any you decide to deploy your website will be ready. Online citations are one of the most important factors for local businesses. To be successful, you need to verify your contact information is correct, and in the correct format, on your website. Make sure the address from your website matches other sites like Yelp, Google, Facebook, etc. We can help with both. All of the hidden nuts and bolts are setup according to industry best practices. We ensure appropriate HTML tags are used, your website loads in a timely fashion, and include things like schema markup. We stay up to date on other SEO developments to make sure your website is setup as perfectly as possible. If we see something new that can help, we’ll update your website automatically.